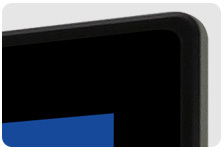 The new flat marine bridge system LCD offers optimized visibility with hyper dimming and new capacitive keys give user quick and easy access to the information they need. 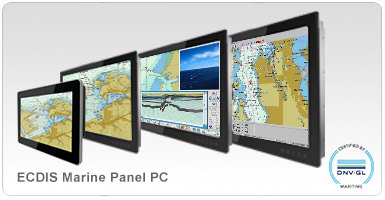 Since Maritime applications have a wide range of display size requirements, Winmate offers the new Marine Panel PC with screens ranging in 19", 24", and 26". 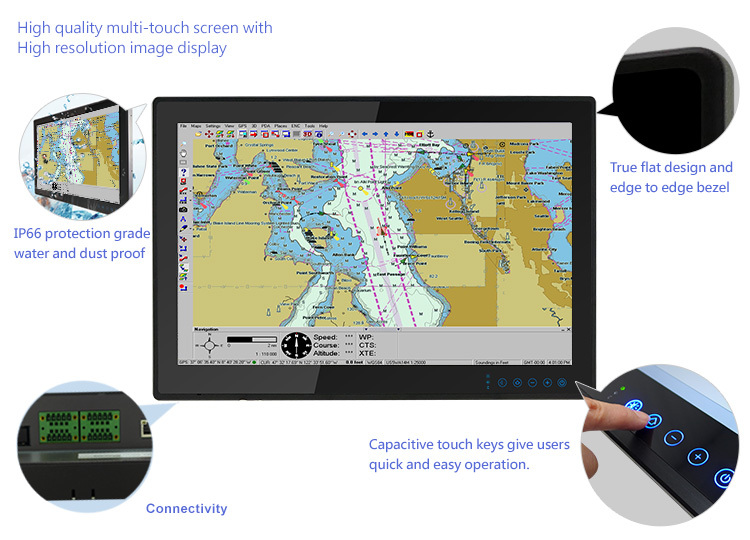 Marine grade computers may also encounter various lighting situations, and so Winmate Flat marine displays are adjustable either in Day, Dusk, or NIGHT mode switching through the capacitive touch key. 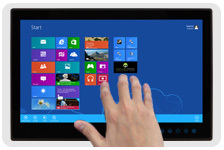 Capacitive touch keys give users quick and easy access to the information they need. 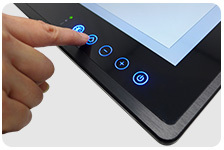 Multi-touch capabilities have also been added to provide greater control and flexibility, making this rugged panel computer a reliable solution in a variety of scenarios where Human-Machine interaction is involved. 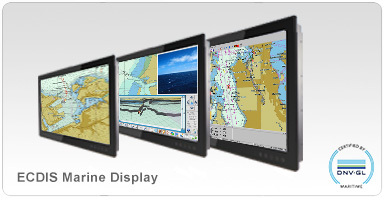 Winmate's line of New multi-touch marine display and panel PCs go beyond that of the standard industrial marine computers with elegant and edge-to-edge designs, rugged construction, powerful performance, and flexible mounting options. 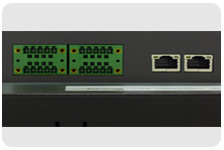 Onboard connectivity consist of Ethernet LAN, two USB2.0, one USB3.0, HDMI, Optional 4-Channel Isolated Digital Input and Output, Optional four COM port (meet the NMEA 0183 National Marine Electronics Association physical layer standard)-RS232/422/485 switchable via software. Easy to maintain and clean. The glass cover lens provides a great protection from scratch, and reduces the gap for possible accumulation of dust and liquid. 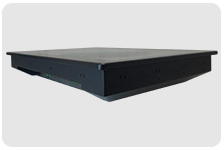 True flat design also gives a slim and elegant appearance to the device. At the NAV-54 work group assembly in 2008, IMO has decided to make ECDIS mandatory for all IMO vessels > 3,000 GT (passenger vessels > 500 GT) with a transitioning period as shown below. The new carriage requirement is for one ECDIS with suitable back up arrangements, which can be fulfilled either by a type-approved backup ECDIS or official, up-to-date paper charts.